Are you planning for the Kerala winter tour? Before you choose any winter package, it is important for you to learn about best places you should visit in Kerala during winter. In this article, you will learn about some of the best places and its unique attractions. Here we go! 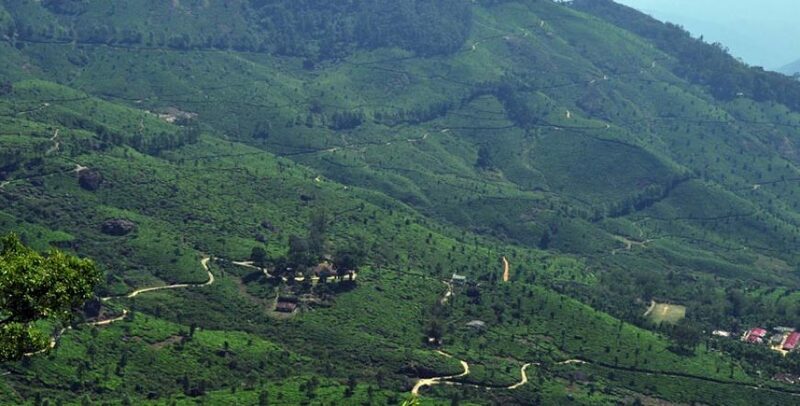 Munnar is called as the Kashmir of South India, located at an altitude of around 1500 m-1600 m above the sea level. It is among the best places in Kerala to visit in winter. This Munnar hill station is blessed with several natural beauties that are really worth visiting. This is a most desirous location for the photographers because they will get several picture-taking moments at Munnar. You will find plenty of places to stay in Munnar but choosing the right one can improve your experience. It is well-known as a tea town because its visitors can enjoy the endless beauty of tea plantations that are spread throughout the Munnar. The exotic species of flora and fauna, extravagant valleys and mountains will surely enthrall your journey to Munnar. This hill station is considered as a perfect honeymoon destination because it creates the environment that every couple is looking for and provides the complete treasure of their Honeymoon. 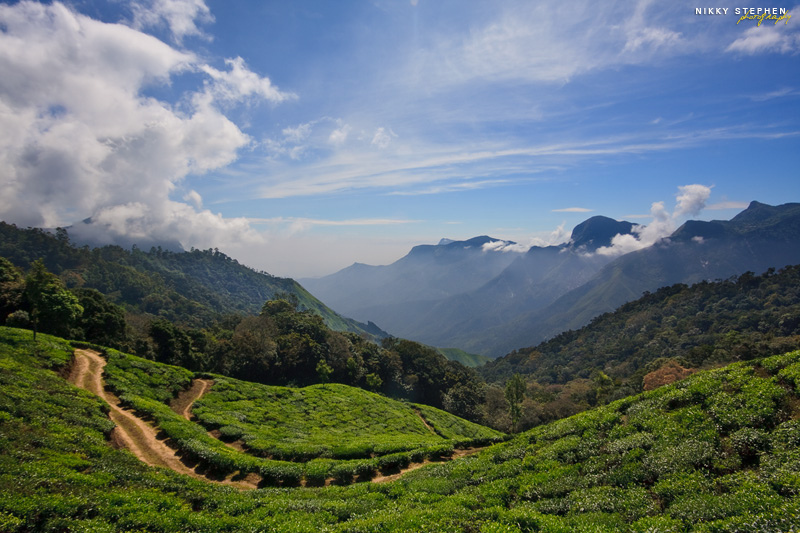 The breathtaking beauty of Munnar creates a heaven of peace and tranquility. Eravikulam National Park is one of the ideal places to visit in Kerala in winter to witness the biodiversity of high elevation ecosystem. It is located along the Western Ghats in the district Idukki and nearly 15 km north of Munnar. Eravikulam National Park is the largest and the first national park in Kerala, administered by the Kerala Department of Forest and Wildlife. The climate is greatly influenced by south-western monsoon. This park is usually closed during the early months of the year and the private vehicles are also not allowed here. Eravikulam National Park is under the consideration of the UNESCO World Heritage Committee to be called as a World Heritage Site. This is an ideal place for the trekking lovers as tourists are also allowed to go on foot up to Anamudi. It is a 2,695 m high mountain, covered with evergreen forests and inhabited by widespread flora and fauna. This is a highest point in India outside the Himalayan Mountain Range. When we talk about Kerala places to visit in December, Anamudi should surely be a part of it. Anamudi is called as the highest point in South India, found in the southern region of Eravikulam National Park and 13 kms away from Munnar. The museum is situated at the Nallathanni Estate of Tata Tea in Munnar, the majestic view and the greenery makes it a part of the amazing places to visit in Kerala in November. This worth visiting museum has a heritage of its own due to amazing tea plantations. This Museum covers various machineries, curios, and photographs. The origin and growth of tea plantation is a most important reason of its high crowd, but honeymooners can also enjoy their honeymoon. At the Tata Tea Museum, tourists can avail the true natural beauty, long nature walks, romance, drives and much more. Alappuzha is an important backwater tourist center that attracts several thousands of foreign tourists each year. Alappuzha is well-known for the boat races, houseboats, fishes, lakes, coir products, and many more. 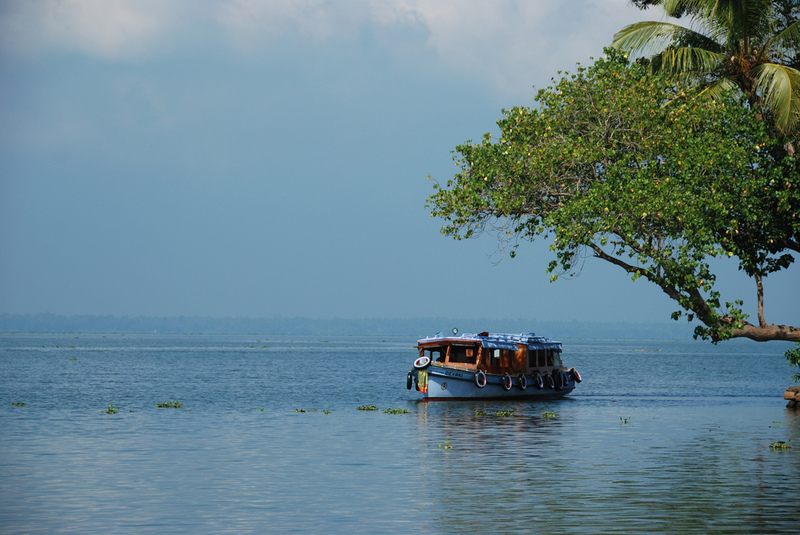 Backwaters are always considered as a best destination for the honeymoon couples. 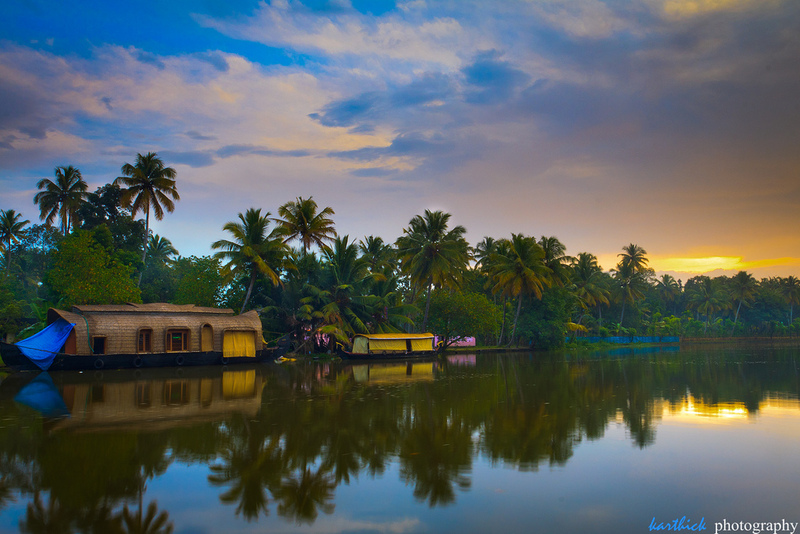 The Houseboat ride on the lovely backwaters makes it a perfect Honeymoon Destination. Winter is about to start in Kerala so make sure to pack all the stuffs to save your body from cold air in Backwaters. Make sure you include 1 night houseboat stay in your Kerala winter package itinerary as it is once in a life time experience you should have and undoubtedly one of the best places to visit in Kerala in December. 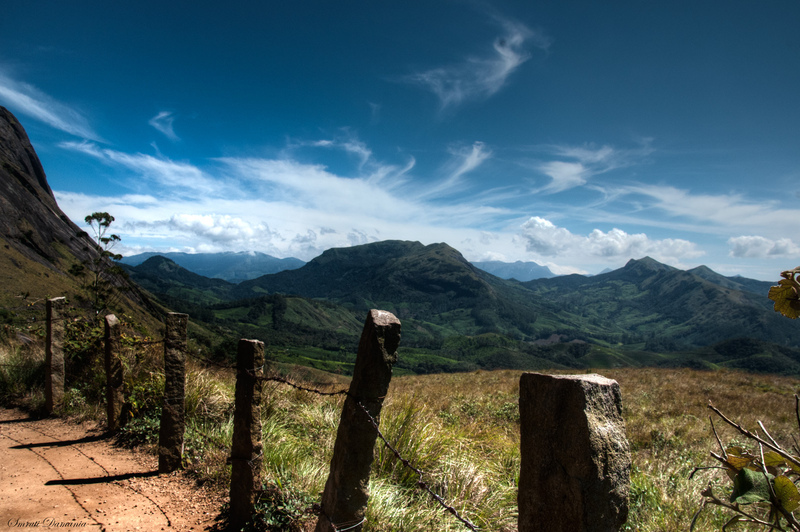 Vagamon hill station is located in Kottayam, Idukki border of Kerala. 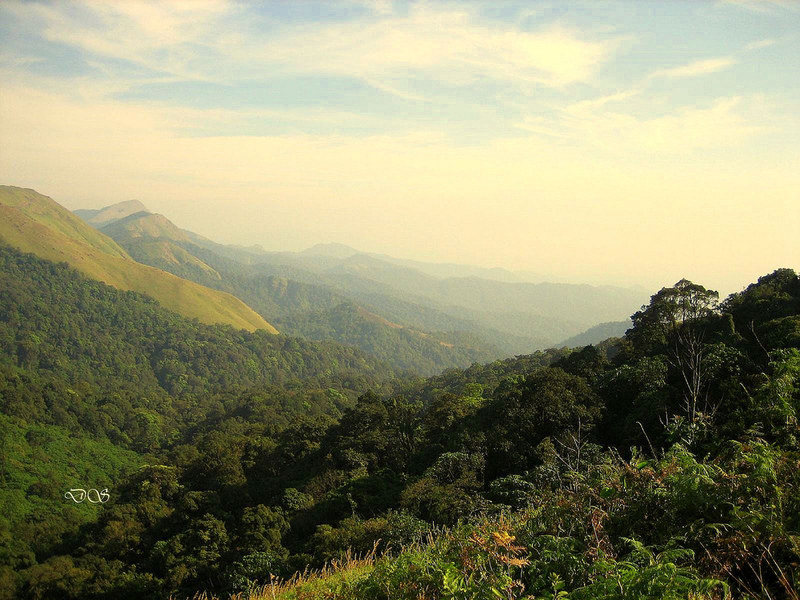 This is one of the most beautiful hill stations in throughout Kerala. The climate is generally cool with the temperature ranging between 10 and 23 °C because it is located above the sea level, at the height of about 1100 meters. This is one of the most visited destinations in Kerala and often recognized as the Scotland of Asia. The adventurous paragliding is another significant charm of Vagamon. The four days paragliding festival of vagamon is one of the most famous events of the world, organized by the Adventure Sports and Sustainable Tourism Academy. This festival gives an opportunity to fly high like a bird in the open sky. This will be an ideal place for adventure and trekking lovers and making it one of the best places to visit in Kerala in December. The alluring beauty of Vagamon hill station attracts large number of tourists from all over the world. 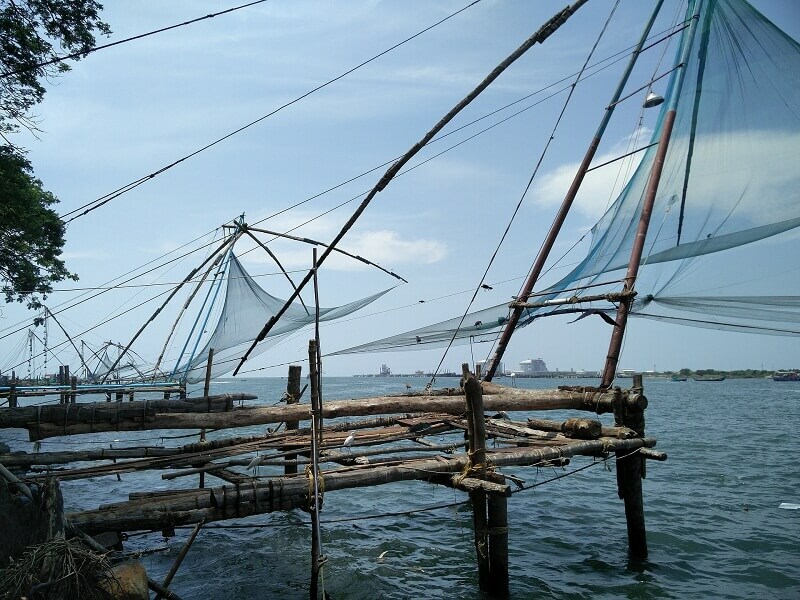 The eventful history of Fort Kochi began with the major flood in AD 1341. After that this land is recognized as one of the finest natural harbors in the world. Now it became the first European Township in India and well, it surely is one of the best places in Kerala to visit in December. 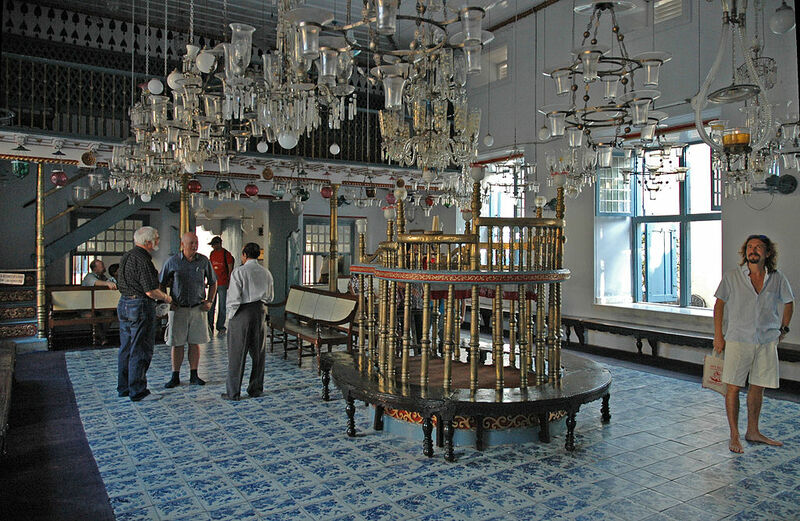 The beautiful structure of Jewish synagogue was built in Jew Town in 1568 and is one of the best tourist places in Kerala in December. The impressive furnishing is decorated with the splendid Chinese tiles and Belgian Chandeliers. This place of worship attracts large number of devotees as well as tourists from all over the world. Wayanad came into existence on 1st November, 1980 by figuring out areas from the districts Kozhikode and Kannur. It is a 12th district in the state Kerala. Earlier, Wayanad was recognized as Mayakshetra known as the Maya’s Land and thereafter it was evolved into Mayanad and finally it was called as Wayanad. It is often known as The Lands of Paddy Fields. Srees Tours & Travels offers various & custom Kerala Tour Packages for different Kerala attractions. It is also listed amongst the best tourist places in Kerala in December because of ‘Karthigai,’ the festival of lights, which is celebrated here during this month. It is also among the best places to visit in Kerala in January because of the tranquil beauty of the heart-shaped lake and the gushing waters of Meenmutty Falls and they spring up at their best in January. The height of the Neliyampathy hill ranges from 467m to 1572m. 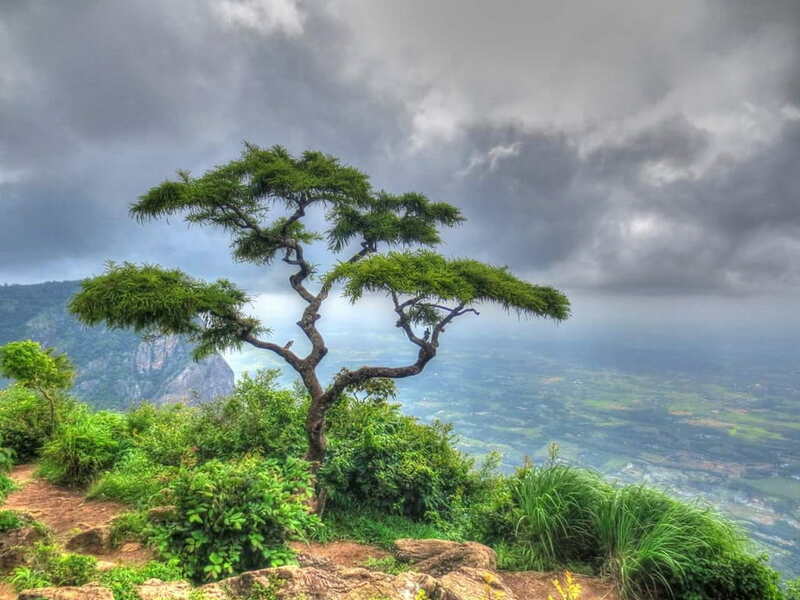 The majestic beauty of Nelliyampathy will certainly give you a heavenly pleasure. The privately owned hotels and resorts are located at the various points. This is one of the most loved destinations for adventure-seekers. To reach this destination, one needs to take the road, starting from Nenmara that go on the Pothundy Dam. Hill Stations are the perfect places to visit in Kerala during winter season. Such places can be visited in any season by the tourists as they are always a beautify experience. The Idukki hill station is one of the most popular hill stations in Kerala, situated on the paranomic heights of the Western Ghats. This hill station is blessed with several natural beauties, spice plantations and various architecturally perfect monuments. This hill station is covered by three rivers, i.e. Periyar, Thodupuzhyar, and Thalayar. At Idduki, tourists can avail natural landscapes, elephant rides and a wide range of mountain treks. It is also recognized as a honeymoon paradise. Poovar is a small coastal village, located at the southern tip of the district Trivandrum. This village is adorned by the beautiful beach that attracts large number of tourists. Tourists can also avail the beautiful combination of lake, river, sea and beach. The beautiful backwaters and sandy beach really make it a natural wonder land. It is an incredibly beautiful paradise, loaded with mangrove forest, emerald green paddy fields and coconut groves. The picturesque waterways and canals are embellished with beautiful white lilies. Tourists can enjoy ample of traditional country crafts, boats and canoes which will stay long in your heart. Kumarakom is one of the must visit places in the state Kerala and best for the honeymooners. The breathtaking scenery of the winters makes it one of the best places to visit in Kerala in November. Sail around the amazing Vembanad Lake in the cool breeze in a pretty houseboat while you watch the flight of migratory birds. This beautiful and memorable experience makes it one of the top choices of the couples as places to visit in Kerala in December for honeymoon. The bird sanctuary and the Pathiramanal Island ensure to be joyful as well. This beautiful beach is found on the north-end of the Vypin Island, Kochi. This is an ideal destination for swimming. This amazing sandy beach offers various luscious green coconuts, paddy fields and creates a beautiful combination of sea and backwaters. Weather conditions in Kerala is pleasant in every season so tourists can visit this paradise in any season. Kerala covers lots of beautiful charms in every corner, but these are some must visit destinations in Kerala, that one can’t miss in their Kerala journey during winters. Thekkady is considered one of the best places in Kerala to visit in winter because the nature is in full bloom here at this time of the month. Among the tourist spots to visit in Thekkady, the Periyar National Park continues to be the key attraction. When you are looking for the activities to try out in Thekkady, keep the jungle safari in the national park on that list. From gaurs, sambars, lion-tailed macaques, to boars and leopards, Periyar’s rich animal life makes it worth visiting. When you are in Thekkady, you must also check out the Thekkady Lake which is very beautiful in December. Make sure you check out the Garudanthookam festival that is held in December in the Kali temples here. These places make Thekkady one of the best Kerala places to visit in December as well. Also, do not forget to pack in some authentic spices for home from the spice market at Kumily village. 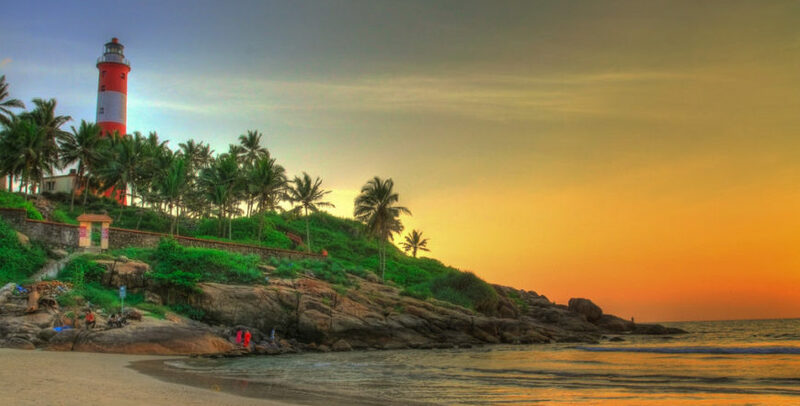 Kovalam is also one of the preferred places to visit in Kerala in January and December. There are beach carnivals held in full glory here during the winter months. If you have chosen Kovalam as one of the places to visit in Kerala in December, then make sure that you stay to watch the New Year’s celebration. From basking in the Sun to getting relaxing Ayurvedic treatments, Kovalam will truly soothe your senses. The key attractions of the place are the Light House Beach, Hawah Beach, and Samudra Beach, which are must-visit places on a trip to Kerala in December. The beach is crescent shaped and there is lighthouse on the southern part of it. You will get a breathtaking view of the city, along with the Vizhinjam Mosque, from the lighthouse. The beaches, with their serenity and deep blue waters, are quite a sight during the moonlit nights. Thiruvananthapuram, the capital city of the state, is undoubtedly one of the best places to visit in Kerala in December if you want to enjoy the Christmas fervor at its fullest. It is the perfect spot if you are looking to go beyond the maddening bustle of the city in your list. Known as one of the cleanest cities of the country, the city is also known for the idyllic beaches and rich cultural heritage. The best time to explore the city is during the winters. The winters are also the time for shopping extravaganza and the International film festival of the state. While in Thiruvananthapuram, visit Padmanabhaswamy and Attukal Temple, Napier Museum, Kowdiar Palace, and Thiruvananthapuram Zoo. Where are the best hotels in Kerala? Can you please share your exact requirement? We can accordingly suggest best hotels for respective details in Kerala. I think you can include some of the heritage sites in Kerala in your blog to make it more informative. Do you want us to add any other places in this article? These are amazing list of places to visit in winter in Kerala.